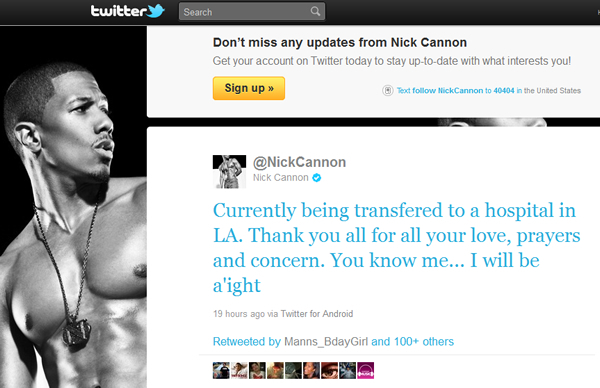 On Wednesday, Mariah Carey published a tweet on Twitter that her husband Nick Cannon was hospitalized for kidney failure. She is now updating her fans of his status and condition, which is improving. Apparently there is little known what actually caused his kidney failure, however he is in a tremendous amount of pain. I wasn’t sure what they did if you had kidney failure so I looked it up. Here’s part of treatment: Once the cause is found, the goal of treatment is to restore kidney function and prevent fluid and waste from building up in the body while the kidneys heal. Usually, you have to stay overnight in the hospital for treatment.